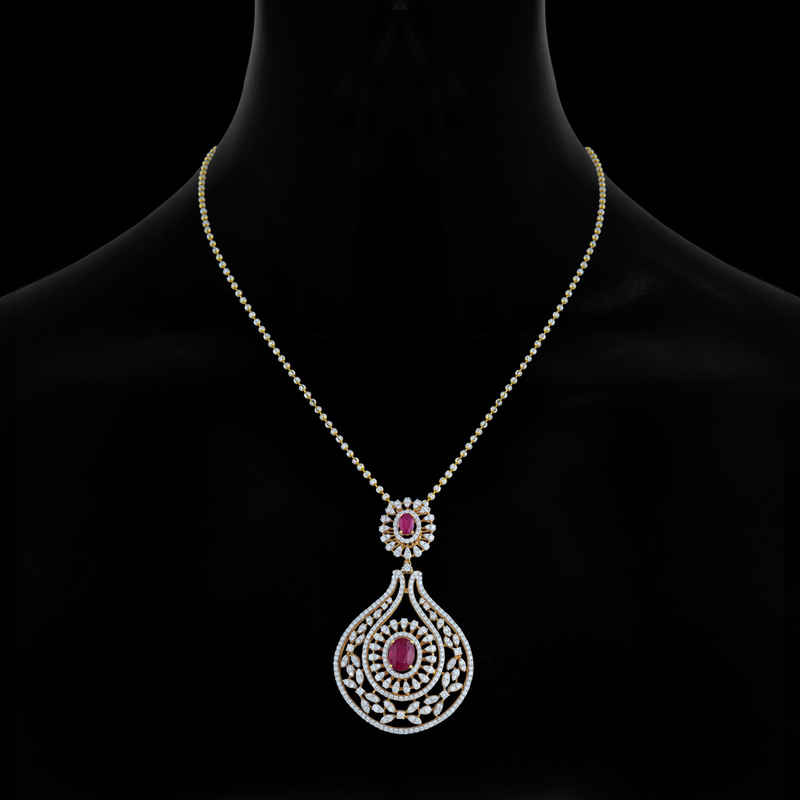 The Curvaceous Diamond Pendant creates a ravishing and sensual look. Made of 18k gold, with the stone weight of 1.316CT and has ruby at its heart. This gold chain embedded with diamonds in a pave setting and a classic pendant with semi precious stones makes an astonishing appeal that will enhance your attire and confidence like no other piece of jewelry.